Like most business directory sites Bizapedia will not remove or redact information from its site unless the information is incorrect. Because the information is readily available in the public record the site has no reason to remove individual listings. The only way to coerce a change is to change the registration of your business with the Secretary of State’s office. Often you can re-register through an agency service that will shield your identity. In some cases, a websites Terms of Service spells out ways to get your info off the site. This is sometimes referred to as a TOS removal. 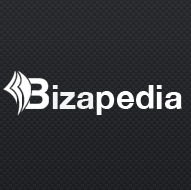 You can view Bizapedia’s TOS to see if it will help you get your info off Bizapedia. For instructions to opt out of Bizapedia visit .